Family owned and operated. Providing trusted auto maintenance services to Auburn & surrounding communities since 2000. 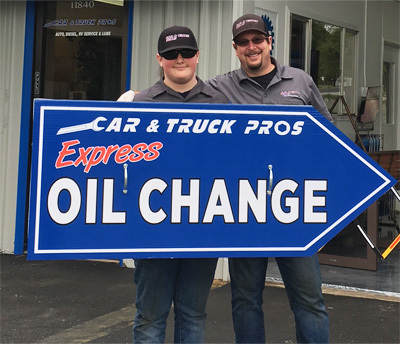 At Car & Truck Pros we offer a extensive range of services on most vehicles including Alignments and Smog Testing. With this range of services offered, you won't need to go anywhere else. We are excited to now offer Alignment and Smog Testing!! Check our Coupons for Savings. I brought my 95 Jeep YJ in suspecting a bad fuel pump. After checking it out and listening to the symptoms I described they suspected the 02 sensor. Turns out they where correct, my Jeep runs like a champ again. Very honest and upfront service, I will definitely be going back next time I have an issue I can't fix myself. I won't take my vehicle's anywhere else. I've always received honest professional service and highly recommend Car & Truck Pros to all my family and friends. See more customer reviews or leave your own. We partner with a few good companies to give our customers added discounts, and services. 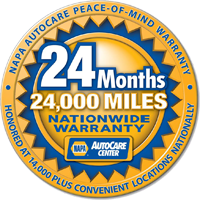 You will have peace of mind with our 24,000/24 month Nationwide Warranty. Take advantage of our Napa Autocare EasyPay plan with No Interest for 6 Months. We are also a AAA Approved Auto Repair Center.